It may be small, but the Honda Fit lives large. From its exceptionally versatile interior space to its host of premium technology features, there’s nothing about this subcompact car that’s not big on value. The perfect car for those who want to stretch their fuel dollars as much as possible, while traveling around the Greater Birmingham area is the remarkably efficient Fit. And if you’re looking for a lot of bang for your buck, you’ll be duly impressed by the extensive selection of features and amenities you’ll find inside. Smart engineering is on display in the Fit, which gives you more room than you would think possible in a car of this class. With innovative touches like the Honda-exclusive Magic Seat, which makes the interior amazingly configurable, and more than 52 feet of available cargo space, you’ll understand that “compact” doesn’t have to mean “cramped.” In the Fit, you’ll never have to leave anything behind. The Fit is also fun to drive – but that’s a point best left for you to see for yourself. And you can do just that when you visit Brannon Honda for a test drive of Honda’s value-packed subcompact car. We have a wonderful selection of all the new Honda models you love, including the Fit, and offer some truly incredible specials and incentives that can take an already great bargain and make it irresistible. View our inventory online to take a closer look at the Fit models we have in stock, and then head to our conveniently located dealership in Birmingham to test drive your favorites! What’s New in the 2019 Honda Fit? While there aren’t many big changes for this model year, the 2019 Honda Fit continues to excel in all the ways that matter most to people looking for a well-rounded subcompact car with stellar value. That value comes in many forms, from the Fit’s attractively low price tag to its outstanding fuel economy to its wealth of technology features, convenience and comfort amenities, and safety equipment. Thanks in large part to the Magic Seat, Honda’s answer to your changing cargo-versus-passenger needs, the interior of the 2019 Fit can be arranged and rearranged quickly and easily to accommodate whatever you need to bring along. The Magic Seat comes standard in all four trims of the 2019 Fit – LX, Sport, EX, and EX-L – and is just the tip of the iceberg when it comes to impressive features in this little champion. Of course, with Honda’s commitment to road safety being paramount, they’ve made Honda Sensing available on the 2019 Fit. This suite of advanced safety and driver assistance features includes things like collision mitigation braking, forward collision warning, adaptive cruise control, and more. Get up close and personal with the 2019 Honda Fit with a test drive at Brannon Honda today! The Honda Fit made its debut in the United States for the 2007 model year after having been sold in Japan since 2001 under the name Jazz. The exceptionally efficient Fit’s launch came at just the right time, as it arrived on American soil just as gas prices skyrocketed. This led to an incredibly successful first year for Honda’s subcompact car. In 2009, Honda revamped the Fit, increasing its body size and also adding a more powerful engine under the hood. The Fit would not receive a complete redesign until the 2015 model year. Honda made use of cutting-edge materials on the 2015 Fit to make it a lighter yet stronger vehicle. The subcompact vehicle also included more standard features with an emphasis on providing some of the latest available safety technology. In 2018, the Fit saw upgrades including more advanced safety features, updated suspension for improved handling, and the introduction of a new trim level, the Sport. Today’s Fit continues to be a great choice for fuel-conscious buyers seeking tremendous value for their money. Brannon Honda offers a great selection of new Honda models including the Fit at low prices for car shoppers in the Hoover, Vestavia Hills, and Mountain Brook areas. We’re also your best source for certified pre-owned Hondas and various import and domestic used vehicles. You can trust our Birmingham, AL Honda dealership to treat you with courtesy and respect from the moment you walk through our showroom doors. Be sure to review our Honda specials as they are frequently updated throughout the month to reflect the latest factory incentives. If it’s time for service or maintenance on your vehicle, bring it to our Birmingham auto service facility. We use only cutting-edge diagnostic and repair equipment, and will make sure your car is fixed right the first time. We’re conveniently located at 300 Gadsden Highway, Birmingham, AL 35235, and are ready to serve you in any way possible. Brannon Honda is out to make you a customer for life with our superior sales and service experience. If it’s time for service or maintenance on your vehicle, bring it to our Birmingham auto service facility. We use only cutting-edge diagnostic and repair equipment and will make sure your car is fixed right the first time. We’re conveniently located at 300 Gadsden Hwy Birmingham, AL 35235 and are ready to serve you in any way possible. 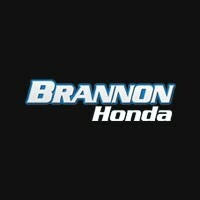 Brannon Honda is out to make you a customer for life with our superior sales and service experience.